Although it is important to test quality of coal used in thermal power station, it is more important to know how to interpret the data from the results. No single test can be used independently to determine the quality of coal. Machine interference is a significant problem in many manufacturing system and testing equipments. The variation of results for testing equipments may be due to various factors which need to calculate the uncertainty of measurement to show the accuracy of the machine. In case of coal testing laboratory, the plant layout and surrounding environment affects the performance of the system. The machine interference comes under variable cause which may effect on the result. 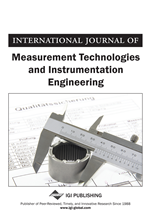 This paper, proposes a methodology for constructing system performance measures, finding out the various factors responsible for variations in result. The study is based on performance of coal used in thermal power station in India. The paper deals with estimation of machine interference existence using variable control chart approach for coal testing equipments. The paper gives the solution for the coal testing laboratory to improve their performance. The analysis of results for such machine interference will be useful and significant for system designers and practitioners.